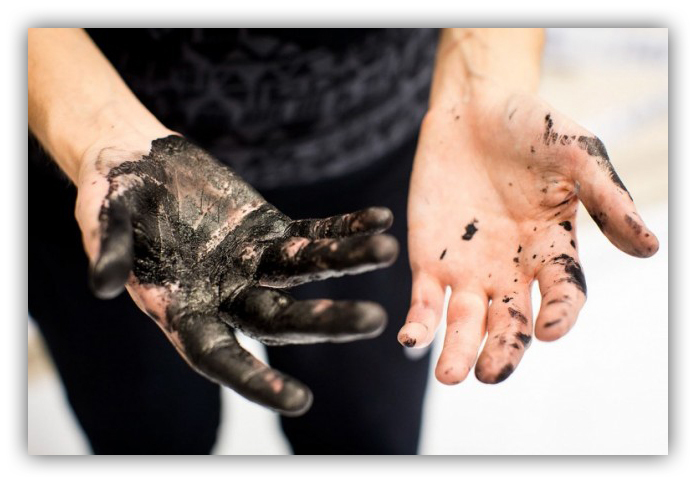 ← The demise of handwriting in schools… my opinion (well, sort of). It’s an occupational hazard for calligraphers, but although I’ve had a few inky fingers in my time, I’ve managed to avoid getting myself quite as messy as Pokras Lampas (above), an incredibly talented, and incredibly young, Russian artist-calligrapher. 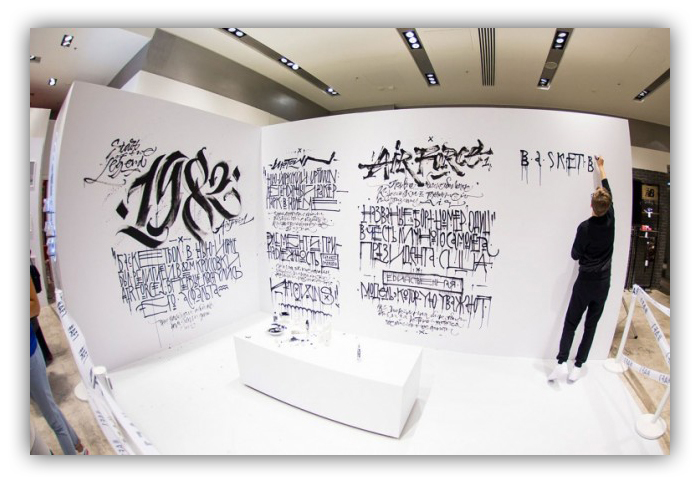 But I shouldn’t be too smug about keeping my hands cleaner than Pokras, since I’ve never attempted a piece of calligraphy on the scale of his recent project, a live calligraphy performance lasting three hours. If you take a look, prepare to be impressed. You can see further examples of Pokras’ lettering, including a video, here. The video shows body-painting on scantily-clad models, so may not be for everyone! My own work for today is much more modest than a three hour live performance. I’m inscribing a bride’s wedding stationery, so vigilance is essential. Misplaced ink is something I daren’t even think about.